We’ve been in Destin, Florida, this week for spring break at the beautiful Sandestin Golf and Beach Resort which is like Disneyland for old married people with kids minus the long lines and overpriced souvenirs. 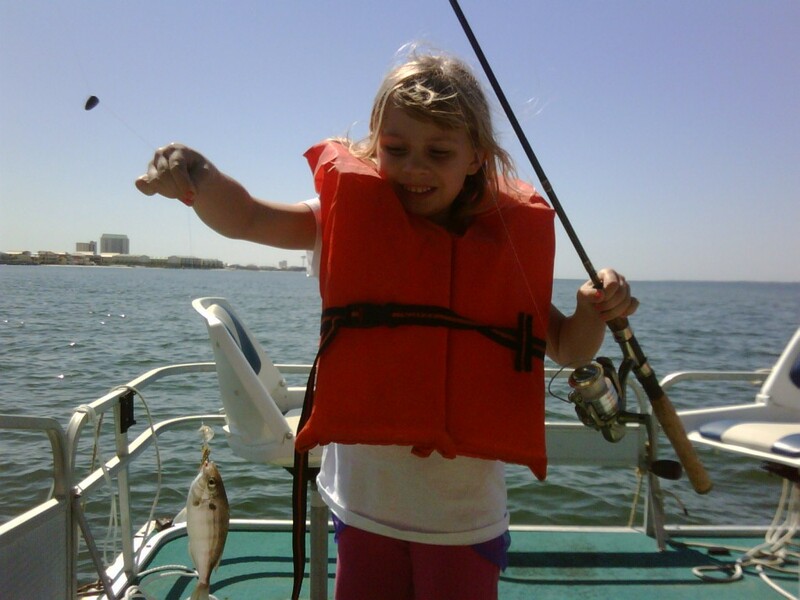 Miss C stood bravely in line for the bungee jumper on Monday, caught her first salt water fish on Tuesday, the girls both petted an alligator at Fudpuckers today, and the hubby and I had margaritas at the beach before noon on St. Patrick’s Day. I guess we should have ordered green beer, but tequila trumps beer when in close proximity to the beach. We’ve been guests at Sandestin thanks to the very accommodating PR department here. 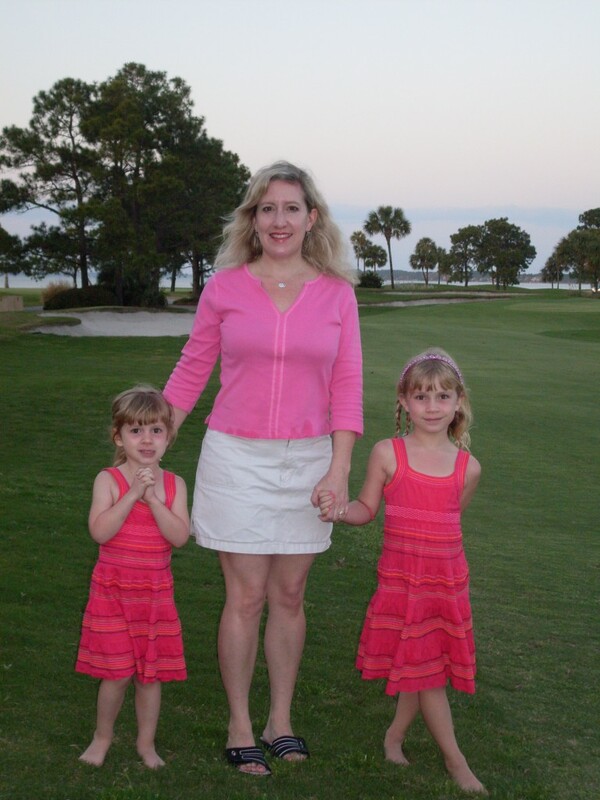 When I got the e-mail inviting us to review Sandestin as a family vacation destination it was back in December, cold and bleary in Middle Tennessee, the hubby was working his usual 70 hours a week and we hadn’t been to the beach since last Memorial Day so it was a welcome blessing. The weather has been gorgeous, although our first day was overcast. That’s probably best as I have that office lighting pale gleam that really needs an adjustment period lest I completely break out in hives from sun exposure. The Florida Panhandle has always been our usual vacation spot, although we usually go to nearby Navarre. This is our first stay at Sandestin and in Destin actually and it’s been wonderful. The nice thing is you don’t ever need to leave the resort, although from the looks of the WalMart parking lot today a LOT of people make a run for beer, sunscreen, and, like us, new jellies when they have an emergency Barbie flip flop blow out at the miniature golf course. We won’t talk about how Miss A had to go potty mid way through the 18-hole course and how it took us something like 3 hours to play. OK maybe not quite that long, but it seemed like it, especially when she refused any help at all during putt putt. You know how it seems like a grand idea to instill values such as independence and perseverance in your children until you realize it means they scream “I DO IT! I DON’T NEED ANY HELP!” while putting a yellow golf ball under the watchful eye of a giant plastic gorilla for the 30th freaking time. We don’t really want to go home, but I guess it’s back to reality sooner than later. Until then, however, I’m pretending that this is all the new normal and that I’m a beach blogger. Yeah, that’s it. Here are a few highlights from our week. So far the Sandestin review is amazing! Fishing in the Intracoastal Waterway off Navarre Beach, about 30 miles east of Sandestin. 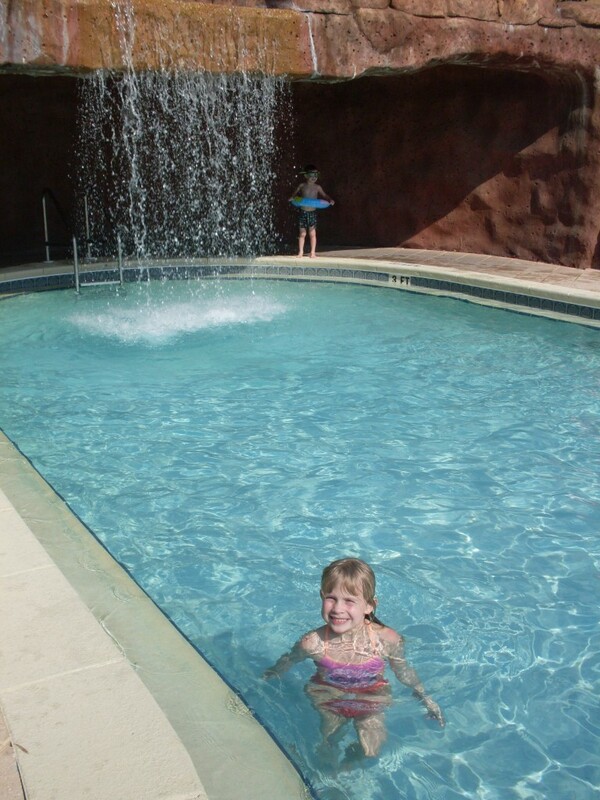 Swimming at the beautiful pool at Luau, on the beachside at Sandestin and one of the newer properties. On the fairway outside our condominium. 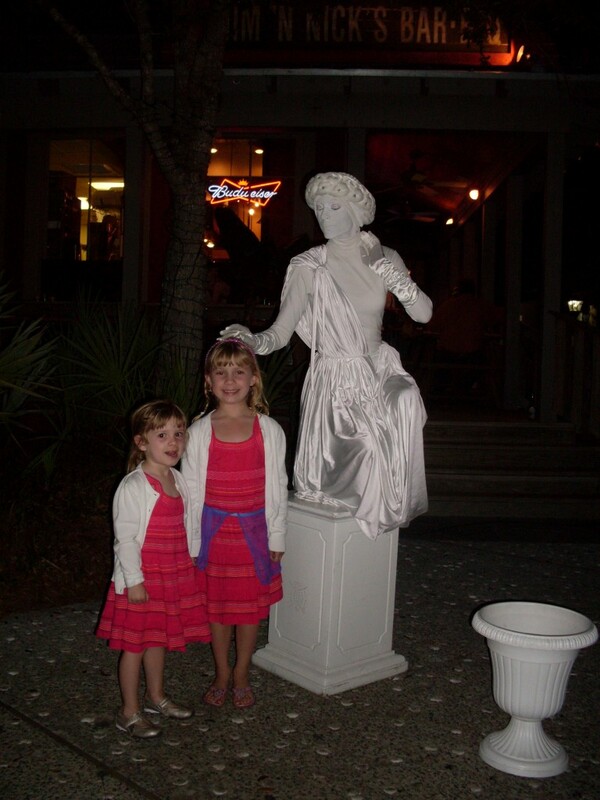 This entry was posted in Travel and tagged Destin, florida, panhandle, Sandestin. Sounds like you’ve had a good time…yay! 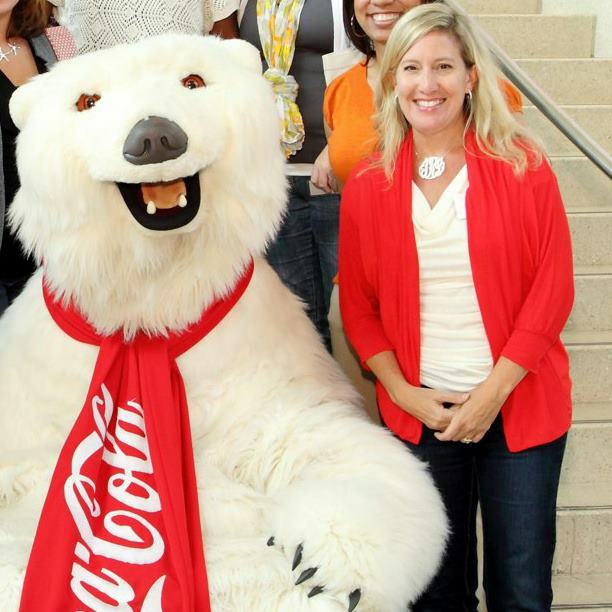 We are in the process of finalizing our summer vacations plans to Destin. I finally convinced my sister to take a vacation there and I am so excited…I know the kids are going to have a blast! Can’t wait to read your review!! The Sandestin looks beautiful!! Enjoy it while it lasts! Jealous! It looks fabulous! We keep saying we are going to venture to that area and check out the beaches since we’ve transplanted to TN. What sweet dresses on the girls! I think the worst part of living in Nashville is being so far away from the beach. I grew up in Richmond, VA, so this non-East Coast living is still a struggle sometimes! Can you point some of these people who want to send you on free vacations my way?!? Looks fabulous! You know, as much as we are in Destin, I’ve never been to Sandestin (well, I stopped by that Starbuck’s one time), we’ll have to check it out! It looks lovely there…we’ve been trying to think of a Florida vacay that doesn’t include Disney (just for our own sanity, we will have to go again soon, though, I suspect) and this place looks gorgeous. Your girls are lovely, BTW, that’s an awesome gig to review, lucky you! Hi, you and your kids look nice in the pics, the last one is especially nice. .-= pool table dimensions´s last blog ..How to decide proper pool table dimensions =-. After research a few of the blog posts in your web site now, and I truly like your manner of blogging. I bookmarked it to my bookmark website checklist and will likely be checking back soon. Pls try my website as properly and let me know what you think. What a dog I got. His favourite bone is in my arm! As well as her work with high fashion, Coco Chanel also created stage costumes for such plays as Cocteau’s Antigone (1923) and Oedipus Rex (1937) and film costumes for several movies, including Renoir’s La Regle de Jeu. To make a short neck look longer wear a scoop neck or open collar shirt, complete the look with a long necklace. Its utilized by people who possibly will afford it as it’s usually expensive as the quality is high.